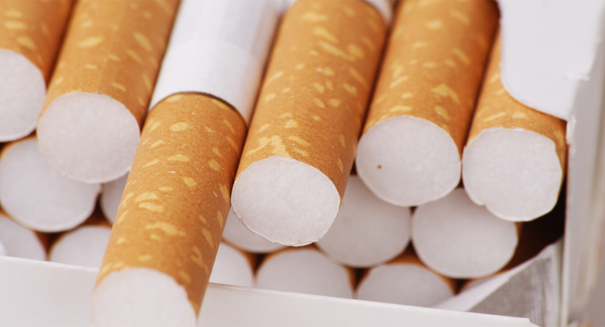 The pharmacy reports small but significant decreases in smoking since its decision last year. Is it as simple as not selling the product? CVS reports their decision to stop selling cigarettes has led to a reduction of smoking in states where they have a significant presence. Bloomberg news reports that the nationwide pharmacy store made the decision to stop selling cigarettes last September to focus more on providing health to customers. The decision risked $2 billion in sales for the company’s 7,800 pharmacies, so, naturally, they decided to track cigarette data for the next 8 months after the implementation of the new strategy. The results are encouraging. In 13 states where CVS has a large presence, overall tobacco sales decrease 1%, as opposed to 3 states without CVS stores, which had no decline. While a small number, it is a statistically significant one. Put into real world terms, it meant 95 million fewer cigarette packs were sold. While CVS has seen seriously decreased front of store sales, to the tune of 7.8%, its decision has been praised by public-health advocates, and the company maintains it is happy enough just to have reduced smoking among customers. CVS plans to continue tracking the data and hopes to see an even higher decrease of smoking.